So here's a big step for me. 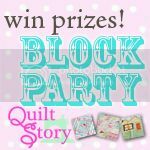 I decided to enter the Block Party contest over at Quiltstory. The categories are traditional, modern and creative. And I think that was the hardest part...deciding which category my blocks fit in. My first is this aqua, red and white "Whirling Star" block. The pattern was from the book Block by Block by Beth Donaldson but I used that awesome Bliss Fabric and thought it was perfect ... reminded me of a peppermint candy. 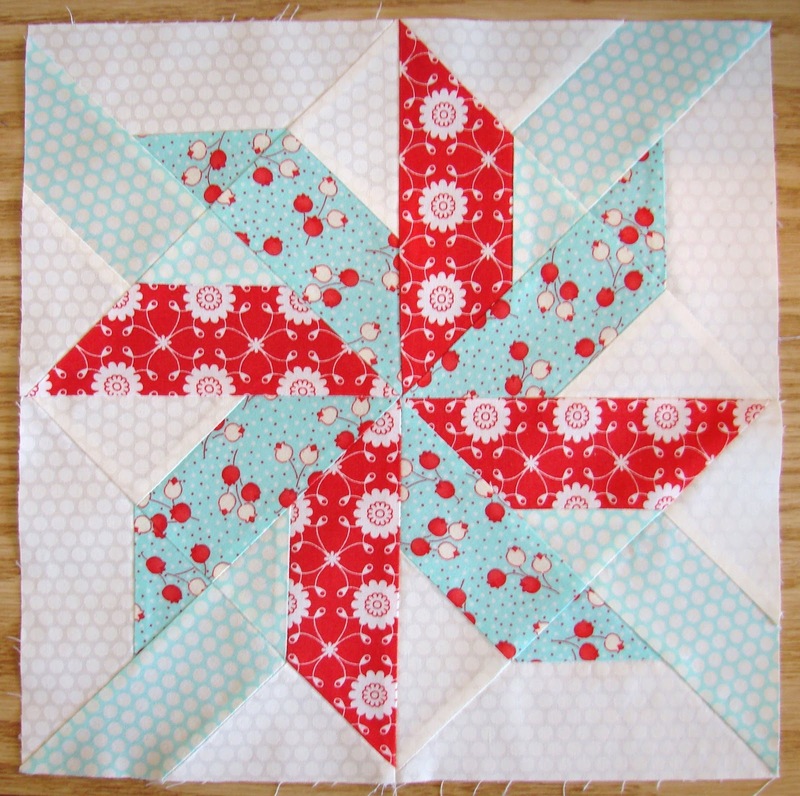 I think the pattern is pretty traditional-combination of pinwheel and star but the fabric is modern. Still, I'm going with the traditional category. 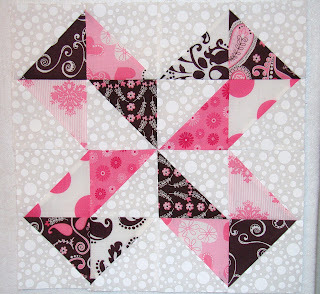 And my second is this pink, chocolate and white "Dutch Pinwheel" block. 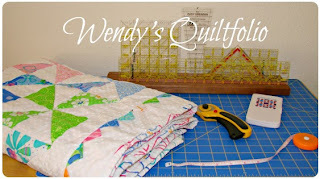 I saw the pattern and instructions on this post at Quiltstory back in August, in a quilt shared by Twin Fibers. I love pinwheels and thought this was an interesting modification...looks like a windmill. As I've shared before here (in fact just yesterday), the fabric is from a charm pack I couldn't resist buying and think it's perfect for Valentine's day. Again, the pattern is traditional but the fabric is kind of retro modern. Still, I'm going with the traditional category for this one as well based on block pattern. So there you have it! My entries for the Block Party. Can't wait to see the others too. Long week of school ahead then a whole week off for President's Days. Happy sewing! These are gorgeous! I'm thinking of doing the pinwheel sampler by P.S.I Quilt, and these two really caught my eye! I agree with you about placement. That's the part I found difficult too, and I used bliss. I just love the colors, it can't be beat. Anyway your block is beautiful, I'm always drawn to things that appear to have motion. Love them both! And great fabric choices! Both blocks are fabulous! I entered a block too. (modern) It was just for fun, but I agree that picking the category was the hard part : ) I don't know how they will make a decision, with so many unique and beautiful blocks to choose from, but I do think yours are lovely! Thanks for stopping in to say hello! Yes I do love the chocolate and pink together. I'm not a "pink" person either but I have a three year old who is :) I love the Bliss fabric!! Good Luck! Nice blocks! Love the Bliss! I think the design is what makes it traditional, but it looks so fresh and modern. Way to go! Love both of your blocks - so cute!! 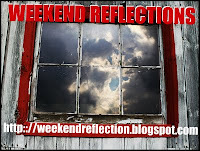 Hope you enjoy your time off! I really love the whirling star, so pretty! Thanks so much for submitting your blocks!! It was so much fun so THANK YOU! !